We pride ourselves on our claims team who has the appropriate skills, training, experience, and authority. We approach the process in a proactive and collaborative manner, working with the customer to identify the best solution in a timely manner. Above all else, we value their trust. They have entrusted their risks to us, and it’s a responsibility we shoulder proudly. Watch AIG Claims Excellence video. 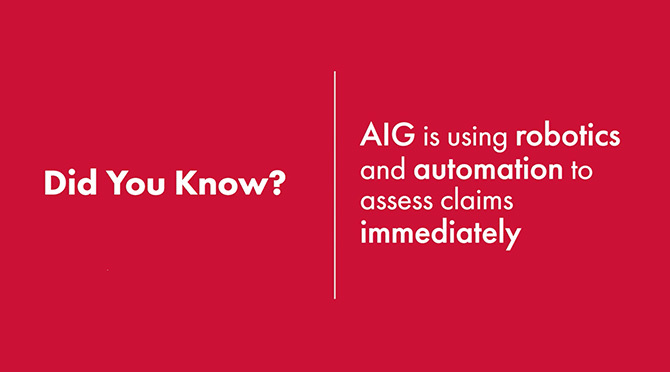 Did you know that AIG is using robotics and automation to assess claims immediately and expedite payment for straight-through claims processing? We tailor our approach to each claim, looking for the best way to move the claim toward resolution. Each claim is categorized as Express, Complex, or Major Loss, and is handled by an adjustor with the most appropriate type of expertise, based on the product line and the complexity of the loss. AIG has the financial strength, claims-paying ability, and level of security unmatched by any other insurance organizations. Our ratings from the world’s principal ratings agencies indicate the highest level of ability to meet financial commitments to policy holders. 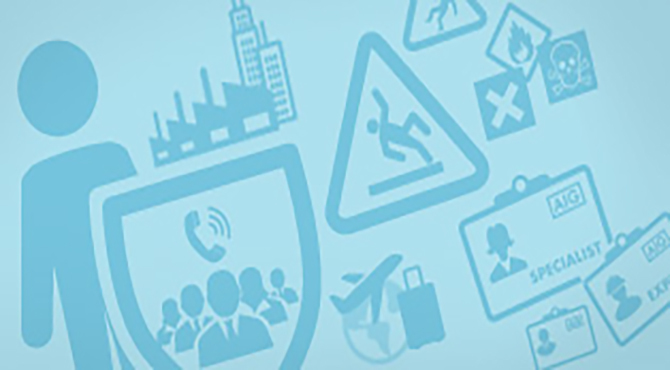 Our local claims team has first-hand knowledge of risks, business practices, legal and regulatory issues. The team is supported by a dedicated Claims Account Relationship Manager, ensuring that you are satisfied with the progress of the claims in every step of the way. For companies doing business overseas, our global network gives us the edge in resolving their claim should a loss occurs in a foreign market. We can work across borders with teams in multiple countries, working with local languages, laws, and regulations. We’ve aligned the specialization of our people by the line of insurance and the complexity of loss. The customers will then benefit from their specific technical knowledge and experience of the local markets, legislation and practice. We’ve created specialist administration teams to handle administrative and support functions, creating operational efficiencies. We process claim settlement faster. We give the customers greater peace of mind when it’s needed most, with increased capacity in the event of a catastrophe. When you make a claim, it’s our opportunity to keep our promise to you. We tailor our approach to each claim, looking for the best way to move it toward resolution in the least possible time, while being sensitive to your needs. When settling a claim, speed and accuracy is important. Our expert team will then handle your claim efficiently and professionally, helping you to recover from your loss as quickly as possible. For less complicated claims, all we need from you is brief pre-defined information to enable us to quickly settle the matter. For larger losses, you have the advantage of dealing directly with the decision-maker, and you can rely on our team having authorized, specific knowledge and experience of local legislation and practice. For any business-related claims, please contact your insurance broker who will be able to assist you. Below are email addresses should you need to submit business-related claims documents.